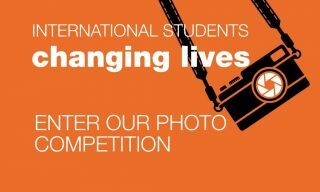 Submit a photo and accompanying statement about what the image represents and how it demonstrates life in the UK as an international student. The photo must be the original file (to ensure printable quality) and in landscape format. Send us your entry by 5pm on 30th October 2017. Those judged to be the best 12 will be featured in a 2018 printed calendar to be sent to all of UKCISA’s university and college members. The best 50 photos and stories will be featured on ukcisa.org.uk throughout 2018. Read the full details and enter!